A well-run warehouse or manufacturing facility should follow different analytical and inventory procedures that will enable the company to assess the efficiency of their inventory methods while, at the same time, verifying if the actual count of their assets matches their financial records. Going through the processes of inventory and verification is crucial to ensure smooth business operations and to detect fraudulent activities due to inconsistencies in records. In order to fully appreciate the important roles that these procedures play, this article will help you better understand how the audit and verification work, especially for warehouse management and conducting manufacturing audits. Inventory observation allows auditors to look at the company’s inventory count procedures and to conduct their own tests for the same physical count of the said inventory. This procedure is often a process that readily detects accounting issues and frauds. Using a method called “floor-to-sheet” technique and “sheet-to-floor” procedure, the assigned auditor then chooses specific items from the warehouse’s inventory and ensures that they can be found on the count sheet. This is followed by another selection of items, now from the same count sheet, verifying if they are physically present in the warehouse. Price testing is an auditing procedure that enables an accurate test and verification on the cost of a company’s inventory as well as the amount paid for by the company for factors such as materials, labor price, and other resources consumed for the production of the inventory. This procedure is done by following the general accounting standards, consulting the enterprise’s financial statements, and looking at actual documentation like timecards and valid invoices. Control testing requires an auditing firm to look at a manufacturer’s internal controls during the auditing process. The scope of this procedure will be dictated by the actual materiality of the company’s inventory balance as well as the auditor’s reliance on other risk factors within the inventory cycle. Within this period, the auditor is expected to create a full picture of the internal controls that are associated to the inventory accounting system – eventually making use of such insight to finally plan and efficiently perform the audit. The audit and verification processes by an inventory service company are often challenged by several issues that may manifest before, during or after following the necessary procedures. 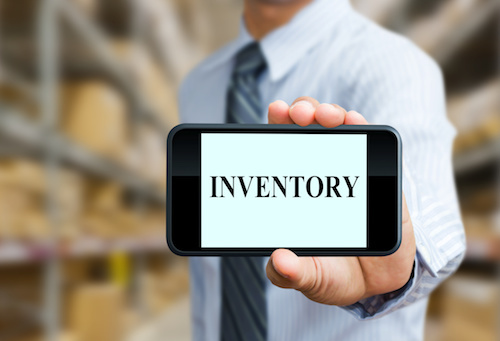 The timing of the inventory, for instance, is one of the most common causes of concerns. Fraud cases or possible cases of manipulation are urgent issues that need to be addressed by auditors and these circumstances require more aggressive procedures. Ensuring the genuineness of the inventory is also an issue that auditors often need to tackle. Here, auditing firms rely on a specialist as well as an off-site testing to ensure the validity and quality of the inventory (for instance, fake versus genuine goods). Hopefully, this article has helped you answer some of your questions about the processes involved in auditing and verification and helped you understand the importance of relying on an efficient inventory company service for warehouse and manufacturing management.